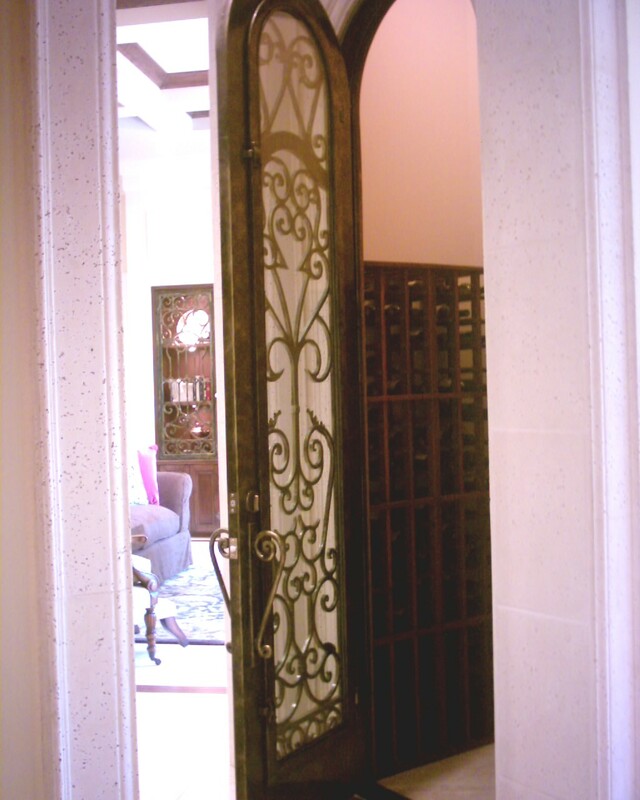 Wine Cellar Iron Doors Custom Wrought Iron Doors, Wine Cellar Doors, Forge Iron products, AAW Wood Doors. Home Decor Center. Deltana Hardware. Pemko Hardware. Silk Flowers. any size and any budget. We have two styles on wrought iron wine cellar doors. Wrought Iron Insulated door: It is used in conditioned wine cellar rooms. Include: insulation on jamb and frame and double pane clear glass. please leave us a message and we will return your call as quickly as possible.